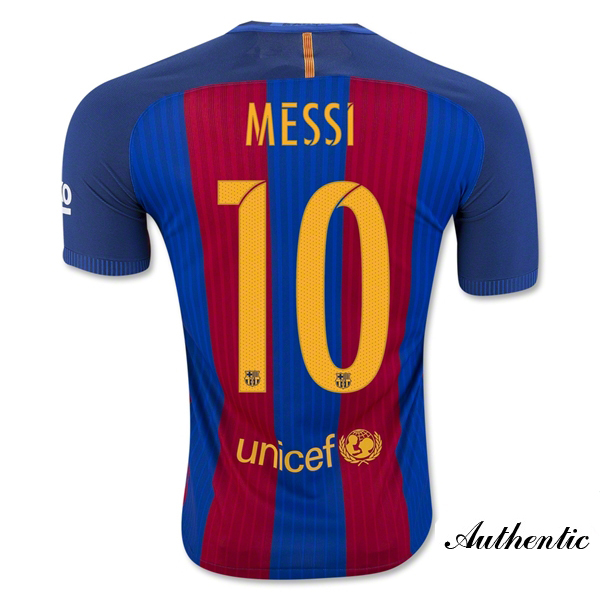 16/17 Barcelona Authentic Lionel Messi Home Jersey, Show off your favorite player with Lionel Messi jerseys and gear from Our store. Magnificent, magical, mesmerizing, marvelous, majestic. 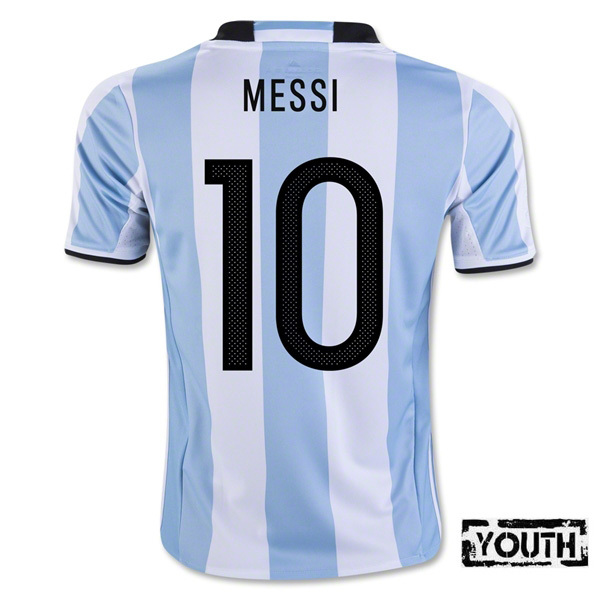 All of these describe the mercurial Messi - and those are only adjectives that begin with ""M"". 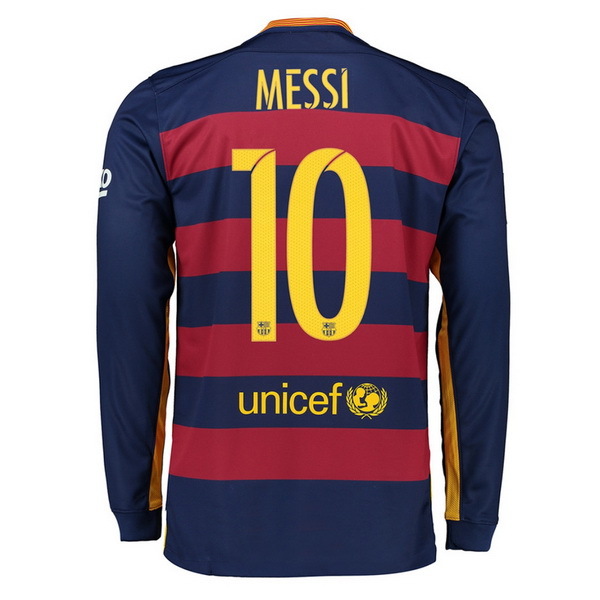 Yes, Lionel is one of the greats already. 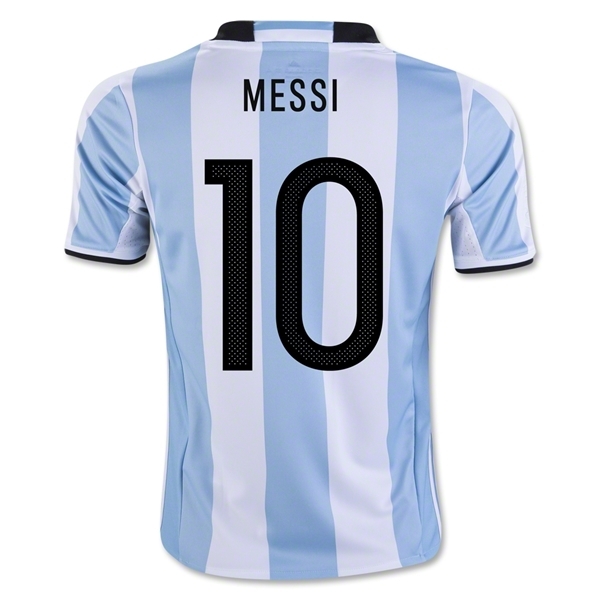 His numbers for club and country are astounding. 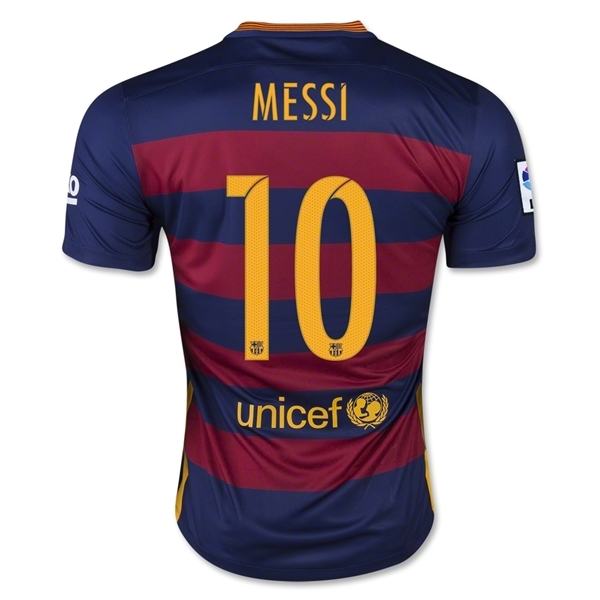 Pick up your Messi 16/17 Barcelona Authentic Jersey today and cheer on all the good times to come.